Creating Christmas Cards the Eco-Friendly Way | TonerGreen - Eco-Friendly Toners from the U.S.
Now that the Christmas season is already fast approaching and many are getting excited about buying or creating their gifts, it would be brilliant to actually try making your present with a touch of nature. Wait, is that possible? Since many are already aware of what is happening with the environment, eco-friendly living has become a way of helping nature nowadays. And now that the Christmas feeling is with us already, it can be exciting and fun to create gifts the eco-friendly way. Let’s start off with your Christmas cards. Here are some tips on how you can make those cards meaningful to your loved ones and to the environment too. 1. Have a good printer. Whether it is an inkjet printer or a laser printer, it can still do your Christmas cards as long as you have maintained it properly. Just be sure to maintain them regularly by cleaning the print heads, wiping the outer portion, and removing stains too. 2. You must have the right type of paper and printer cartridge too. 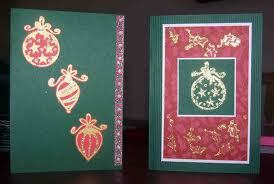 A typical kind of paper for creating cards is card stock or also known as cover stock. You can also go for those specialty papers that have a strong appearance and can last longer than usual papers. For your printer cartridge, you don’t have to purchase originals to have great prints. You can always fill your printer with remanufactured laser toner cartridges or ink cartridges since these are less costly plus eco-friendly too. Why? Well, most or even all parts of a remanufactured printer cartridge is made up of recycled cartridges, which contributes to the preservation of nature. Pretty neat, right? 3. Use recycled materials for decorations. While this tip can be old-fashioned for some, nothing beats recycling. It's really amazing how you can turn trash into something new so why not do this for your Christmas cards? Just be sure you have cleaned them first before putting these into good use. These are just some of the ways that you can turn your ordinary Christmas cards into green and lovable gifts. Don't forget that all you have to do is be creative and try new ideas for a change. After all, you can make your loved ones and nature happy while showing off your creativity this Christmas season.